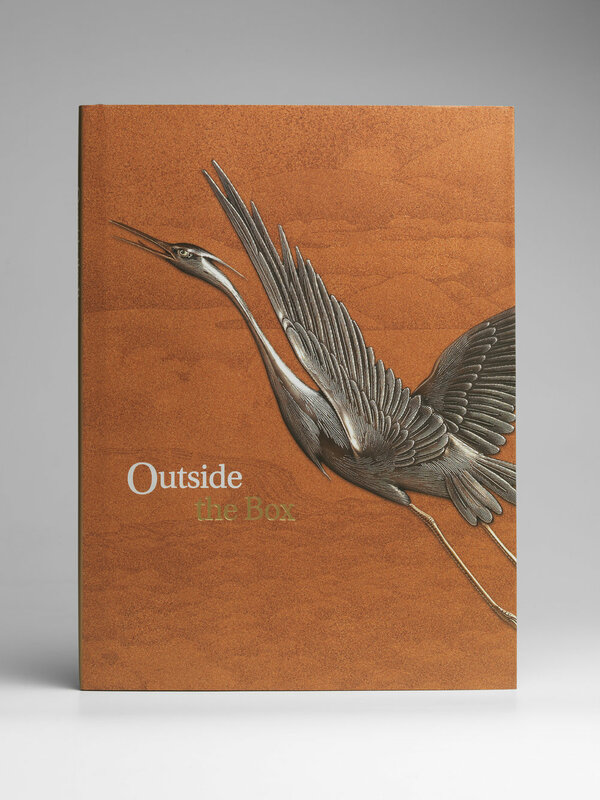 Outside the Box — Sydney L. Moss Ltd.
Further explorations in Japanese netsuke and lacquer. A selection of 100 works of art. The 54 netsukeinclude many 18th century rarities, among them several large, mostly anonymous, figures in ivory and wood from Japanese legend, as well as important examples by Tametaka, Koyoken Yoshinaga, Tomotada and Masanao of Kyoto. Amongst masterpieces from the 19th century are four Otoman, two Ikkyu and a Tomokazu group of three rats. There are 17 ojime in various materials, many of them signed. We also present 13 pipecases of rare quality, two unusual spectacle cases and 8 inro in lacquer and metal. The catalogue is rounded off by 5 extraordinary lacquer boxes, two by Ritsuo, the others by Koami Choko, Koma Kyuhaku and Oyama.